My today picture is a bit sad and made in 2017. But still it's an image I am looking at currently. 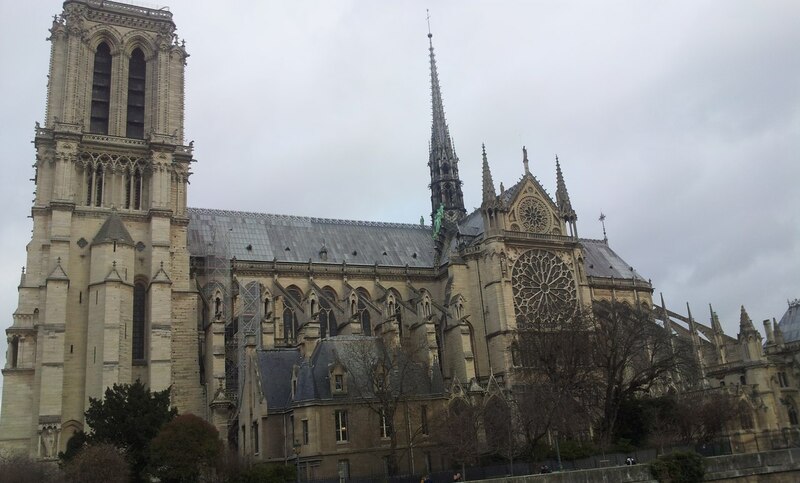 Notre Dame, my visit to Paris in January 2017. France, my heart is with you today. Jel mi koji ne znamo Engleski jezik nemamo pravo da ucestvujemo u nagradnim igrama? You can take part in International English thread. Welcome to join contests on COM domain! • Actions leading to an overload of the servers and/or can considerably adversely affect the game play for other users. This rule refers to some deliberate actions that can result in breaking the game to other users up to unplayable level (server crash etc). If we apply that to spiking, then on that matter why not apply that to killing someone's WWK at home. This action would definitely "adversely affect the game play" for the WWK owner and their team. Back to the spiking issue and more serious note - devs are currently discussing it, as I mentioned in another thread dedicated to that shortly before. I will come back to you in the nearest future with more information about it. Some time within next 10 days or so (can't say more presicely due to upcoming bank holidays). Update: All troops starved between 15:00 and 18:50 UTC have been restored. Due to technical and routing issues with few Internet Service Providers, some of you might have faced trouble connecting our services (website, game, ...). All the technical issues are by now solved and servers are back to normal. Thanks for your understanding and sorry for the inconvenience! Just to make it clear I give you 2 examples how the system works. So, let's say player bought 300 gold during the server (or received in vouchers). He had 50 gold on their account by the time of rollback. So, it would be 50 + 150 + 500 = 700 gold in total on his account by now. All purchased gold - in this case 300 - is transferable. Player bought 1200 gold during the server (or received in vouchers). He had 50 gold on their account by the time of the rollback. So, it would be 50 + 500 + 600 = 1150 gold in total on his account by now. All 1150 gold is transferable. It's same as on any other server. If there is something different on given accounts, the owners need to contact support. Hi. Server is closed to fix issue with Plus. If you still have Plus missing after server is back online, please, write ticket to Support. Upd. And it's opened again. Hi. Devs already fixing that. Should be done within 1 hour. About using gold for the next Tournament. Usually the Gold transfer links are disabled for Qualification and Finals, therefore we cannot promise - yet - that they will be usable on the next finals. However, due to the current situation we need to rework completely the T&C for the Tournament, and also we received multiple requests on that and we will keep that in mind. I will (as usual) come back to you with every piece of news about that (myself or via Community Managers) in the following weeks. Hi. Server is back online. Infoboxes with the link to that thread will appear soon on the Tournament Finals. Hi there. Some additional information is posted in the same thread about tomorrow rollback. Hi Safiren and _Lyli_. Thanks for posting cleaned version of skype conversation and for the proposal. On Monday we'll discuss options / possibilities for Tournament Finals. I will deliver collected feedback as well and will keep you informed.